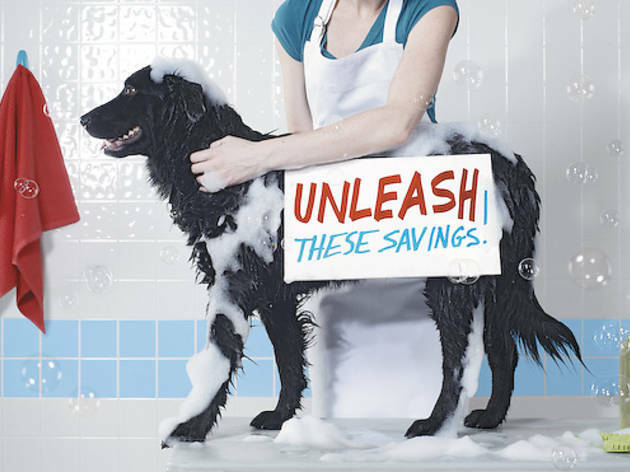 Where to wash your dog and keep him overnight on the cheap. I have a dog with a really thick coat—an Australian shepherd/chow mix. I can’t wash her in my bathtub because the hair would clog up the drain, so I usually pay to have her groomed even when all she needs is a bath. It gets expensive. Any suggestions for cheap dog grooming? As the owner of an extremely hirsute black Lab mix that likes to roll around in garbage, I feel your pain. Prices for grooming large, long-haired dogs like ours average around $70, and bathing that mutt at home likely means an even more expensive plumbing bill (and a wet-dog escapee running wild in the house). 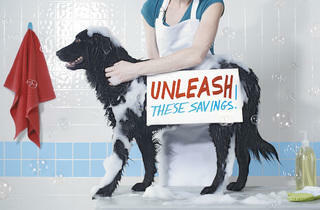 Your best option: Go to a groomer that allows you to wash your dog. You get to use all their doggie shampoos, conditioners, brushes, towels and dryers, and, best of all, you clog up their enormous industrial sinks, not your bathtub. Three Pups in a Tub (556 W 37th St, 773-268-9274) and Soggy Paws (multiple locations, 312-546-4008) charge $18; It’s a Paws World (1964 W Montrose Ave, 312-810-2402) charges $17, and the eighth wash is free; and Urban Pooch (4501 N Ravenswood Ave, 773-942-6445) will set you back $12–$18, depending on your dog’s size. Urban Pooch even loans you a waterproof apron (kids get raincoats)—this is messy business, after all. Rovernightnetwork.com Overnight boarding typically hovers around $40–$45 per night, but this new service enables dog owners to engage in a you-scratch-my-belly-I’ll-scratch-yours arrangement: A member watches your dog for free, if you agree to return the favor at a later date. Paws and Claws This crate-free option, where dogs play freely, costs $35 per night. 5015 N Western Ave (773-293-4420). Canine Social Club Your dog chills in a 4' x 5' “suite” for $26. It’s $10 extra per day for playtime. 5508 N Western Ave (773-506-6200).